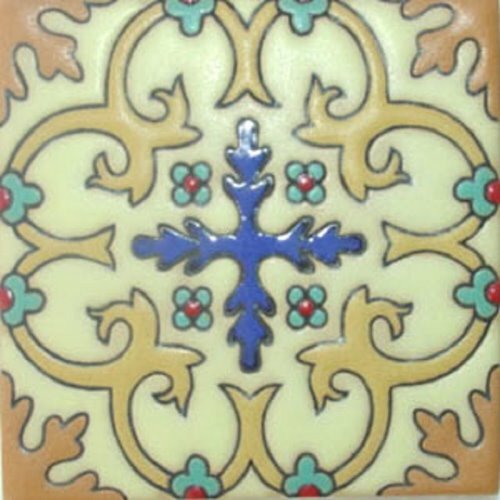 Relief tile with "Carmina" design for decorating Moorish style kitchen backsplash, bath wall and stairs. Handmade with blue, turquoise and brown color over white. 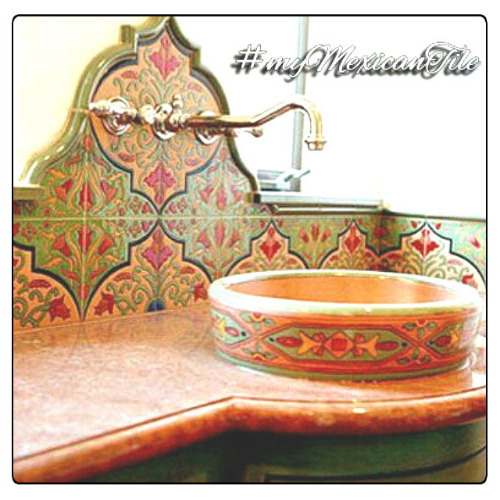 Production of red clay relief tiles including free delivery from Mexico to the US estimated for four weeks. Your store was the only able to fill my order, as a contractor is good to have reliable providers as you, thank you very much for all the help and i count on you to upcoming projects.